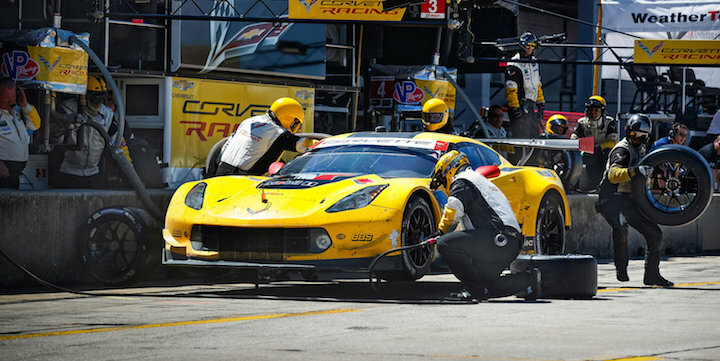 Corvette Racing completed a grueling doubleheader weekend last month, competing in both the FIA WEC 1000 Miles of Sebring and the IMSA WeatherTech Sportscar Championship 12 Hours of Sebring, which were held on back-to-back days. You might think adding an extra race to the schedule was fairly straightforward for the massively experienced Corvette Racing squad. After all, the team is more familiar with Sebring than almost all of the WEC teams and would already be at the track for the Sebring race, how hard could it be to just do an extra race? The answer is very hard. Running the 1000 Miles of Sebring required General Motors to call up some outside employees to form a third squad and also use a third spare car. It was also hard on the drivers, who not only had to do twice as much racing, but twice as many practice sessions as well. The strict officiating of the WEC and more lax style of IMSA also meant the drivers and pit crew had to be well versed in the series’ respective rulebooks. Online racing web series Mobil 1 The Grid recently put together a short video documenting Corvette Racing’s difficult doubleheader weekend at Sebring. It’s worth checking out for any Corvette Racing fan who wants the inside scoop on some of the team’s operations, so don’t miss it embedded above.